Danvers: Sam Ciruolo, 9, dressed as Wally, the Green Monster, waves to the crowd along the parade route during the Danvers Recreation Summer Playground Program Playground Parade. Photo by Mary Catherine Adams/Salem News. 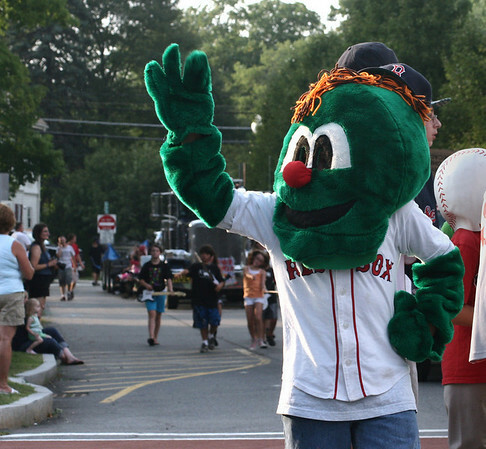 , Danvers: Sam Ciruolo, 9, dressed as Wally, the Green Monster, waves to the crowd along the parade route during the Danvers Recreation Summer Playground Program Playground Parade. Photo by Mary Catherine Adams/Salem News.